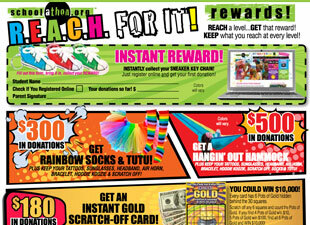 The perfect solution for DIY “Thon” event planners looking to boost sales and participation. EARN UP TO 90% PROFIT! This program is great for Elementary and Middle Schools who are happy with their current “Thon” but want to raise the most money for their school. It offers options for a Prize Progam and FREE In-School incentive program to get the most participation and maximum profit for you school/group. 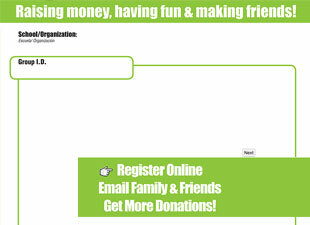 Custom pledge site with two banner ads for your group to sell and keep 100% of the profit. We suggest selling them for $500 each. Optional Pledge/Collection Envelopes: One for each participant. Available to purchase at only 25¢ each. Parent Letter: We print the letter for you on the Pledge/ Collection Envelopes. Optional Student Awards Program: You have the opportunity to purchase great incentives to reward students for their hard work. Happy Volunteers to plan and run the event. T-Shirt for participants and/or volunteers. You can bulk purchase t-shirts for your Event at a greatly discounted price! After party expenses: DJ, water or anything else your group would like to have at your party. The banner ad sales should cover those expenses. The event is run just like a book fair or holiday shop by your volunteers so you have maximum control and maximum profit. Our “It’s Your Thon” Program has the Tools to MAXIMIZE Your Sales and Partcipation! 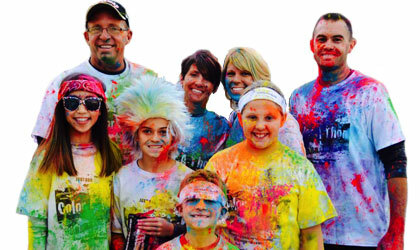 Happy with your current “Thon?” With this program your school makes up to 90% Profit! Software & Pledge Site plus options for fantastic PRIZE PROGRAMS to get the MOST PARTICIPATION and MAXIMUM PROFIT for your school/group’s current “thon” fundraiser! One for each participant. Only 25 cents per envelope. Customize for your group. We print the letter for you on the Envelope. Easy turn in sealable envelope keeps money safe. Opportunity to purchase cumulative, innovative, and quality event based prize program.